: There are a total of 16 EV charging stations within a 10-mile radius of the center of Gilroy, CA. Tax incentives and/or other incentives for drivers of electric vehicles in Gilroy. The Sacramento Municipal Utility District (SMUD) offers a discounted rate to residential customers for electricity used to charge PEVs. For more information, see the SMUD Time-of-Day Rate website. Stickers issued on or after January 1, 2019, expire January 1, 2023. DMV may issue stickers on or after January 1, 2020, only for applicants that have a household income at or below 80% of the state median income, which will expire January 1, 2024. The California Department of Transportation must publish a report between January 1, 2023, and June 1, 2023, detailing the number of stickers issued under this program. Vehicles with stickers are also eligible for reduced rates on or exemptions from toll charges imposed on HOT lanes. For more information and restrictions, including a list of qualifying vehicles, see the California Air Resources Board Carpool Lane Use Stickers website. Farmers Insurance provides a discount of up to 10% on all major insurance coverage for HEV and AFV owners. To qualify, the automobile must be a dedicated AFV using ethanol, compressed natural gas, propane, or electricity, or be a HEV. A complete vehicle identification number is required to validate vehicle eligibility. For more information, see the Farmers Insurance California Insurance Discounts website. The Carl Moyer Memorial Air Quality Standards Attainment Program (Program) provides incentives to cover the incremental cost of purchasing engines and equipment that are cleaner than required by law. Eligible projects include heavy-duty fleet modernization, light-duty vehicle replacements and retrofits, idle reduction technology, off-road vehicle and equipment purchases, and alternative fuel and electric vehicle infrastructure projects. The Program provides funds for significant near-term reductions in nitrogen oxide emissions, reactive organic gases, and particulate matter emissions. Funding is available until January 1, 2024. The California Air Resources Board, in consultation with local air districts, must convene working groups to evaluate the Program's policies and goals. Contact local air districts and see the Program website for more information about grant funding availability and distribution. 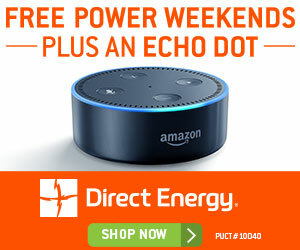 The Los Angeles Department of Water and Power (LADWP) offers a $0.025 per kilowatt-hour discount for electricity used to charge PEVs during off-peak times. Residential customers who install a separate time-of-use meter panel will also receive a $250 credit. For more information, see the LADWP Electric Vehicle Incentives website. Southern California Edison (SCE) offers a discounted rate to customers for electricity used to charge PEVs. Two rate schedules are available for PEV charging during on- and off-peak hours. For more information, see the SCE Electric Vehicle Residential Rates website. Pacific Gas & Electric (PG&E) offers discounted residential time-of-use rates for electricity used for plug-in electric vehicle charging. Discounted rates are also available for compressed or uncompressed natural gas used in natural gas vehicle (NGV) home fueling appliances. For more information, see the PG&E Electric Vehicle Rate Plans and NGV Rates websites. Converting a vehicle to operate on an alternative fuel in lieu of the original gasoline or diesel fuel is prohibited unless the California Air Resources Board (ARB) has evaluated and certified the retrofit system. ARB will issue certification to the manufacturer of the system in the form of an Executive Order once the manufacturer demonstrates compliance with the emissions, warranty, and durability requirements. A manufacturer is defined as a person or company who manufactures or assembles an alternative fuel retrofit system for sale in California; this definition does not include individuals wishing to convert vehicles for personal use. Individuals interested in converting their vehicles to operate on an alternative fuel must ensure that the alternative fuel retrofit systems used for their vehicles have been ARB certified. For more information, see the ARB Alternative Fuel Retrofit System website. A hybrid electric vehicle that is Model Year 2000 or newer and is a passenger car, light-duty truck, or medium-duty vehicle may be converted to incorporate off-vehicle charging capability if the manufacturer demonstrates compliance with emissions, warranty, and durability requirements. ARB issues certification to the manufacturer and the vehicle must meet California emissions standards for the model year of the original vehicle. Find all electric vehicle (EV) charging stations in and/or near Gilroy (California). Search and compare local EV charging stations in Gilroy, and find a convenient location to charge your car.